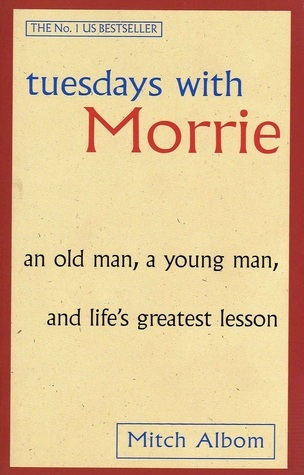 Tuesdays with Morrie by Mitch Albom – Most of Albom’s books are short enough to finish in a day, but this one is my favourite so I’m adding it here. I think this book really resonates with people because most of us have someone in our lives who is getting older and still has a lot of great wisdom to share. Synopsis: Mitch Albom was reintroduced to Morrie Schwartz, his college professor from nearly twenty years ago, when Morrie was in the last months of his life. Knowing he was dying of ALS – or motor neurone disease – Mitch visited Morrie in his study every Tuesday, just as they used to back in college. Their rekindled relationship turned into one final ‘class’: lessons in how to live. 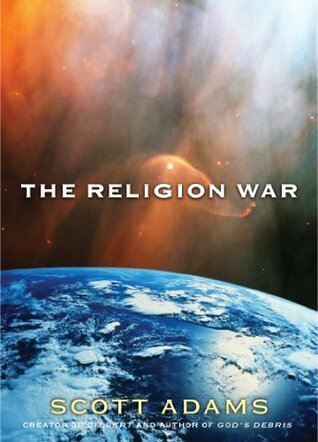 The Religion War by Scott Adams – I picked this little book up on a whim and found it to be so interesting and insightful. Although I don’t particularly like the author himself, I find the message behind this book very thought provoking. Synopsis: The smartest man in the world is on a mission to stop a cataclysmic war between Christian and Muslim forces and save civilization, but to do so he must find a single person who can change the fate of the world. This thought-provoking fable raises questions about the nature of reality and just where our delusions are taking us. 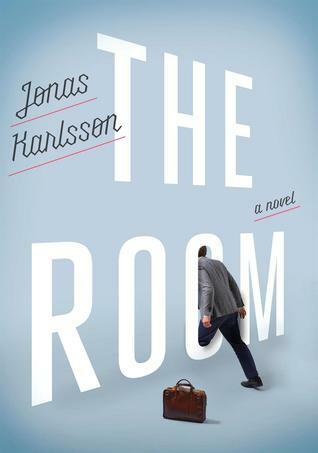 The Room by Jonas Karlsson – This book caught my eye when it first came in the store and I immediately wanted to read it. I like how throughout the book you continue to question exactly who is crazy and who is sane. Synopsis: Bjorn is a compulsive, exacting bureaucrat who discovers a secret room at the government office where he works–a secret room that no one else in his office will acknowledge. When Bjorn is in his room, what his coworkers see is him standing by the wall and staring off into space looking dazed, relaxed, and decidedly creepy. Bjorn’s bizarre behavior eventually leads his coworkers to try to have him fired, but Bjorn will turn the tables on them with help from his secret room. 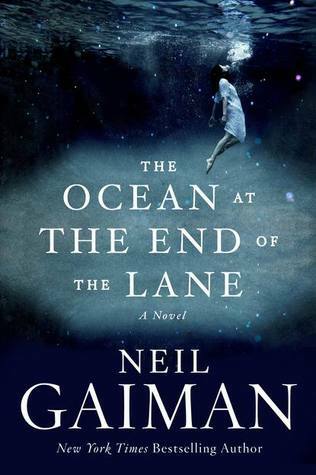 The Ocean at the End of the Lane by Neil Gaiman – This book was a long time coming, but I think that it was worth it. It’s so small that it’s an easy read for anyone new to Gaiman, but it still has all the great depth that his books are known for. Synopsis: Sussex, England. A middle-aged man returns to his childhood home to attend a funeral. Although the house he lived in is long gone, he is drawn to the farm at the end of the road, where, when he was seven, he encountered a most remarkable girl, Lettie Hempstock, and her mother and grandmother. He hasn’t thought of Lettie in decades, and yet as he sits by the pond (a pond that she’d claimed was an ocean) behind the ramshackle old farmhouse, the unremembered past comes flooding back. And it is a past too strange, too frightening, too dangerous to have happened to anyone, let alone a small boy. 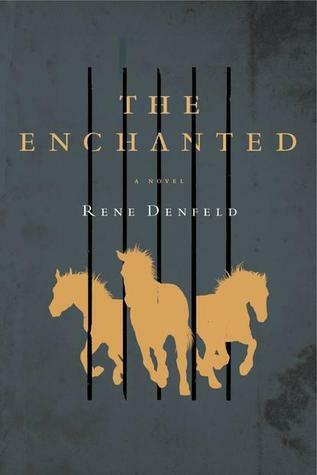 Synopsis: The enchanted place is an ancient stone prison, viewed through the eyes of a death row inmate who finds escape in his books and in re-imagining life around him, weaving a fantastical story of the people he observes and the world he inhabits. Two outsiders venture here: a fallen priest, and the Lady, an investigator who searches for buried information from prisoners’ pasts that can save those soon-to-be-executed. Digging into the background of a killer named York, she uncovers wrenching truths that challenge familiar notions of victim and criminal, innocence and guilt, honor and corruption-ultimately revealing shocking secrets of her own.